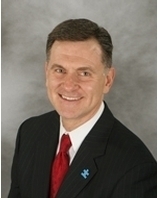 Edward J. Nitkewicz was formerly the managing partner of Nitkewicz & McMahon, a small litigation practice concentrating in representation of personal injury plaintiffs in matters arising from general negligence, medical malpractice and product defect. In addition he has become a leading education law attorney representing families in CPSE and CSE meetings, impartial hearings and special education litigation as a Parent Advocate and/or attorney. He also has extensive experience representing clients in complex commercial litigation, estate litigation, and general civil litigation. He has extensive pre-trial, trial and appellate advocacy experience. Administrative Law Judge, Town of Huntington. Hearing officer for the adjudication of accessory apartment permit applications and hearings within the Town of Huntington. Proud member of Trial Lawyers Care. Pro bono organization established through the New York State Trial Lawyers Association to provide free legal representation to the families and victims of September 11th in connection with their application to the Federal Victim’s Compensation Fund. Proudly represented the families of ten brave firefighters who lost their lives on 9/11. Cases were personally heard by Special Master Kenneth Feinberg, appointed by President Bush to oversee the Victim’s Fund. Appellee before the Court of Appeals. Privilege of arguing before the Court of Appeals in the matter of Maheshwari v. The City of New York, et al, 2 N.Y.3d 288, 778 N.Y.S.2d 442 (2004). Plaintiff’s negligent security case that examined the issue of standard of care for concert security. Counsel to the scuba diving industry. After successfully litigating a plaintiff’s negligence matter arising from the negligence of a scuba diving instructor (Eck v. Pan Aquz Diving, et al) recommended by adversary defense counsel to represent scuba diving school in defense matter in United States District Court for the Eastern District of New York (Freund v. Sail Caribbean, et al ). Counsel to the school bus industry. Corporate litigation counsel to local bus companies in Long Island including Suffolk Transportation Services Inc., Education Bus Company, and Jaco transportation Services. Faculty Member: New Jersey Institute for Continuing Legal Education. Participating panelist of annual ICLE Program entitled “What New Jersey Attorneys Need to know about New York Civil Practice.” Lecture topics include jury selection and pre-trial discovery. Faculty Member: Touro Law Center Trial Advocacy Institute. Participating faculty member of inaugural Touro Law Center Trial Advocacy Institute Program “How to Try a Case from A to Z.” Evaluated, critiqued and lectured on the topics of opening statements and summation. Lecturer: Suffolk Academy of Law. Lead lecturer of program sponsored by the Suffolk County Columbia Lawyers organization entitled “The Dram Shop Act.” A review of the application of and recent developments in Dram Shop liability law. Lecturer: Special Education Law and Advocacy. Lecturer on special education topics including “How to effectively work with your School District to obtain Special Education Services for your child” and “Special Education: One Parent’s Perspective.” Host organizations: the Long Island Autism Fair, Lindenhurst Union Free School District, The Cody Center for Autism, South Huntington Union Free School District, Three Village School District SEPTA, South Country SEPTA, West Islip SEPTA and the Asperger Syndrome and High Functioning Autism Association (AHA), Inc. Proud member of the Suffolk County Bar Association, the Nassau County Bar Association, the New York State Trial Lawyers Association, and the New York State Bar Association. Trustee of the South Huntington Union Free School District Board of Education. Member of the Board of Directors and Fundraising Committee for the Asperger Syndrome and High Functioning Autism Association (AHA), Inc. AHA provides support and information to families and individuals with Autism or related disorders through support groups, conferences, seminars, quarterly newsletters, an electronic list serve and a telephone support line. Member of the Review Board of One150media.com. Website created to celebrate creative works inspired by individuals effected by autism. Features a gallery of art, music, literature, video and photography relating to autism to increase awareness about both the characteristics and impact of autism. Chairperson, Special Needs Faith Formation Committee at St. Elizabeth’s Roman Catholic Church. Committee responsible for the development and institution of a comprehensive program of religious instruction tailored to the unique needs of children who suffer from Autism, Down’s Syndrome, Mental Retardation, Attention-Deficit Hyperactivity Disorder, Attention Deficit Disorder or other disabling conditions. Coach, Special Needs CYO Soccer and Challenger baseball programs in South Huntington, New York. Member of the Huntington Democratic Committee. Past Member and Chair of Fundraising Committee of the Cody Comedy Festival. The Matthew and Debra Cody Center for Autism & Developmental Disabilities at Stony Brook University is a regional center for individuals with Autism or related disorders, and their families, on Long Island. Honors and achievements: Law Review Senior Staff; President of the Student Bar Association; Student Member of the American Bar Association; Recipient of the Dean’s Award for Outstanding Leadership and Overall Academic Excellence. Honors and Achievements: Dean’s list; Interfraternity Counsel; Who’s Who in American Colleges and Universities; Varsity football team; Post Graduate: Wagner College Alumni Board; Wagner College Mentor Program Sponsor and Pre Law Society Lecturer.